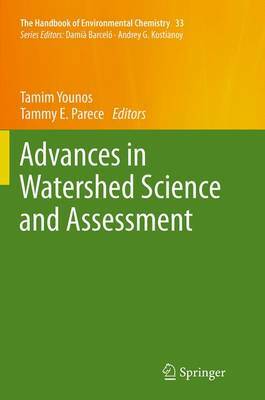 This volume offers concepts, methods and case studies of innovative and evolving technologies in the area of watershed assessment. Topics discussed include: (1) Development and applications of geospatial, satellite imagery and remote sensing technologies for land monitoring; (2) Development and applications of satellite imagery for monitoring inland water quality; (3) Development and applications of water sensor technologies for real-time monitoring of water quantity and quality; and (4) Advances in biological monitoring and microbial source tracking technologies. This book will be of interest to graduate students and researchers involved in watershed science and environmental studies. Equally, it will serve as a valuable guide to experts in government agencies who are concerned with water-availability and water-quality issues, and engineers and other professionals involved in the design of land- and water-monitoring systems.